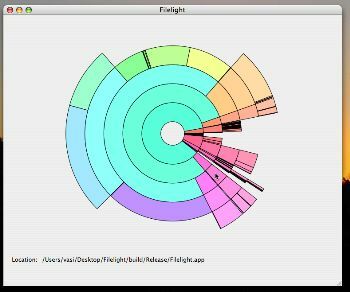 If you already know what Filelight is, then you won’t need an explanation what MacFilelight does. It basically shows you a directory structure in concentric circles and lets you know how deep your file structure goes. It’s interesting, but it’s not super necessary. Just a pretty application for MacOSX.